This training reviews dozens of motivational strategies and techniques that can be used with clients who struggle with motivation due to various problems such side effects of medications, short attention span, symptoms of mental illness, or who suffer from learning difficulties or ADHD. It provides a basic formula that can be adapted to any individual and situation. Dr. Nowell, a neuropsychologist, applies the best of recent brain science understanding of how motivation actually works for us, and for our clients, “from the inside out.” Attendees will learn a specific clinical strategy (the “Behavioural Inquiry”) for eliciting clients’ specific intrinsic motivators. The seminar includes an overview of the brain science supporting non-pharmacological treatment interventions targeting focus, distractibility, and behavioural management. 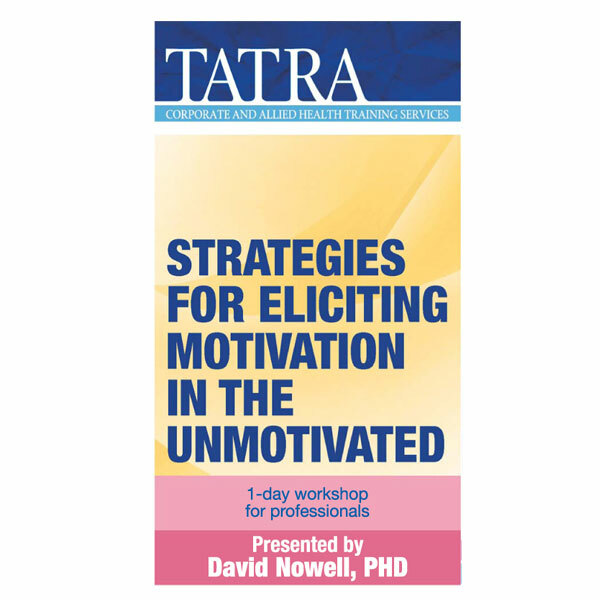 Dr. Nowell will review the neuro-anatomical basis of reward and motivation as well as the executive functions of choosing, planning, inhibiting, and prioritizing. After a review of the normal developmental trajectory of executive functions, he will consider the impact of those disorders which impede attention and organization.